Found in "Nine Stories" by J.D. 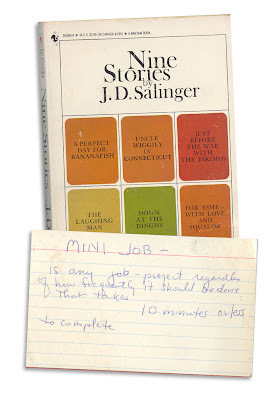 Salinger, published by Bantam, 1981. That is a note someone took from "Sidetracked Home Executives"!